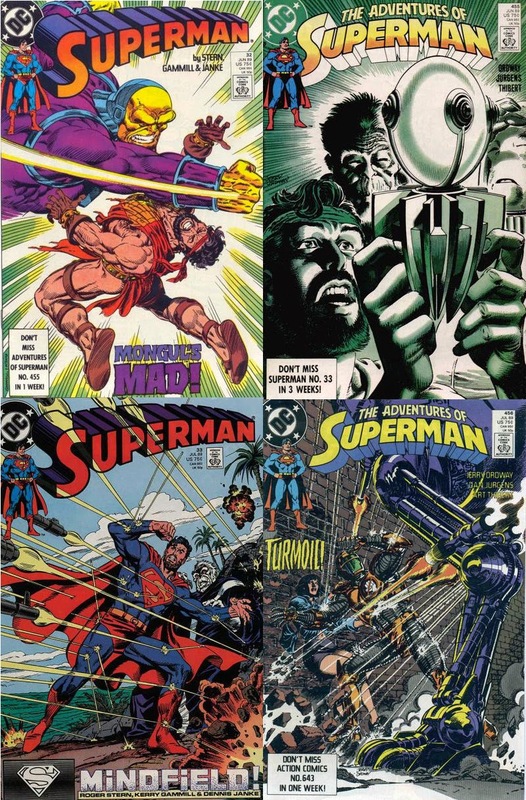 Episode #98: THEY SAVED LUTHOR'S BRAIN! For this special COMICS PODCAST THEME WEEK episode for Halloween, the featured story was collected in the DC Comics trade paperback THEY SAVED LUTHOR'S BRAIN!, which is still in print. It was first published on January 26, 2000, and collected the issues: SUPERMAN #2 (Feb. 1987), ACTION COMICS issues 660, 668, 672 and 676-678. 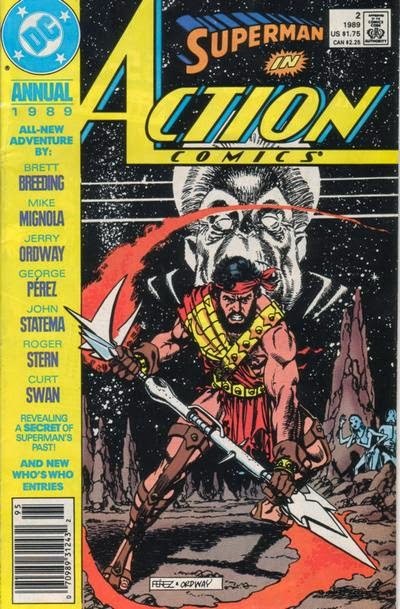 If you would like to read this story before listening to this episode because of SPOILERS, you should be able to find a copy at your local comic book shop or on the internet. 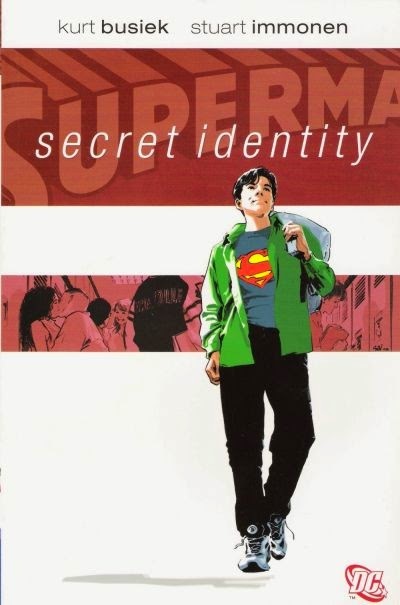 NEXT WEEK: The trade paperback SUPERMAN: SECRET IDENTITY! SUPERMAN FAN PODCAST can be found at http://supermanfanpodcast.mypodcast.com . 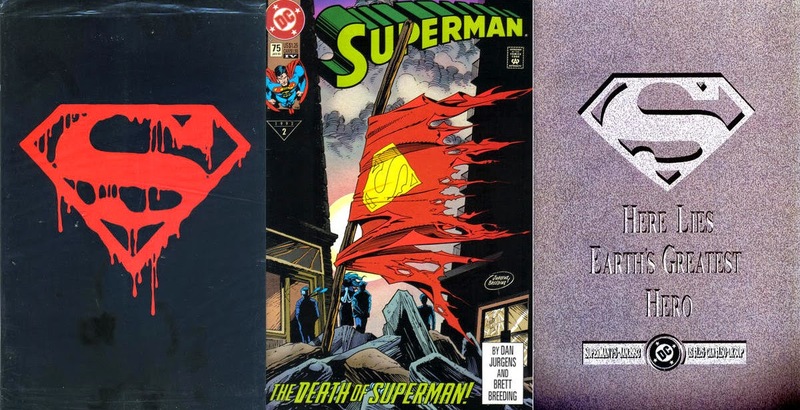 Expanded show notes are at http://supermanfanpodcast.blogspot.com. Send e-mail to supermanfanpodcast@gmail.com . Episode #97: An Interview With Billy Tucci! 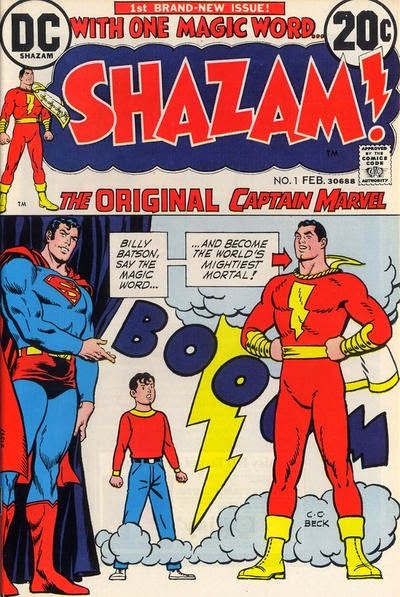 Billy Tucci wrote and drew the story FLASH VS. SUPERMAN - TO THE FINISH LINE!, published last Wednesday, October 21, 2009, in the 80 pg. DC HALLOWEEN SPECIAL 2009. It was colored by Brian Miller of HIFI DESIGN and lettered by Rob Leigh. It is available now at your local comic book store or your internet vendor. During this interview Billy also discusses his recent mini-series: SGT. ROCK: THE LOST BATTALION, his self-published title SHI,some future projects and his own military service. We also get to meet his youngest son Matthew! The hardcover edition of SGT. ROCK: THE LOST BATTALION is scheduled to be published on Wednesday, November 25, 2009, and his Sgt. Rock Christmas story in the DC HOLIDAY SPECIAL 2009 on Wednesday, December 9, 2009. Visit Billy Tucci's web site at: http://williamtucci.com. 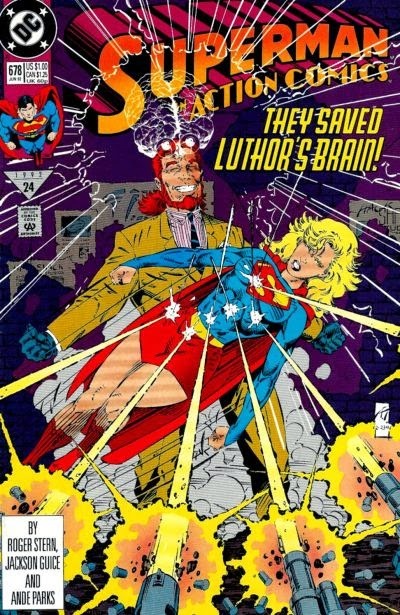 NEXT EPISODE: A Halloween Comics Podcast Theme Week tie-in: THEY SAVED LUTHOR'S BRAIN! Look for it in the next few days before Halloween! Episode #96: Happy Birthday, Edmond Hamilton! The Edmond Hamilton story featured in this episode is THE LAST DAYS OF SUPERMAN, from SUPERMAN 156, October 1962, published around August 2, 1962. It was reprinted in: SUPERMAN IN THE SIXTIES, SUPERMAN: THE GREATEST STORIES EVER TOLD vol. II and SHOWCASE PRESENTS: SUPERMAN vol. III. Episode #95: Happy Birthday, Harry Donenfeld! Harry Donenfeld was born around October 16, 1893 There does not seem to be any documentation to pinpoint either his exact birth date, or the place in Romania he was born to Jewish parents. He would take eventually take over his brothers' printing business. After hiring Jack Liebowitz, subject of episode #94, through a series of business deals Harry would be leading the dominant comic book company for decades, until the rise of Marvel Comics in the 1960's. 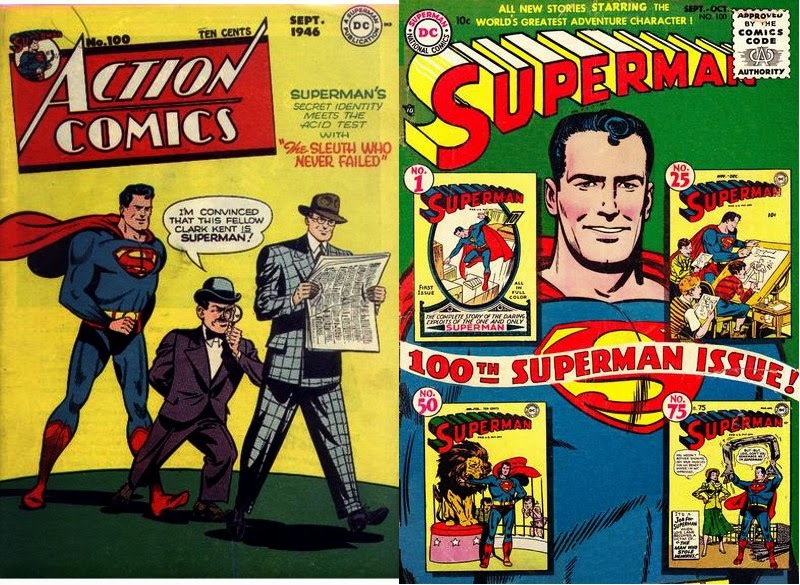 He and Jack are considered the villains to many Superman fans in Siegel's and Shuster's struggles over the copyright to Superman. The theme for the podcast is PLANS IN MOTION composed by Kevin MacLeod, part of the royalty free music library of the website http://incompetech.com . Episode #94: Happy Birthday, Jack Liebowitz! Jack Liebowitz was born on October 10, 1900 and died on December 11, 2000. His life literally spanned the 20th century. 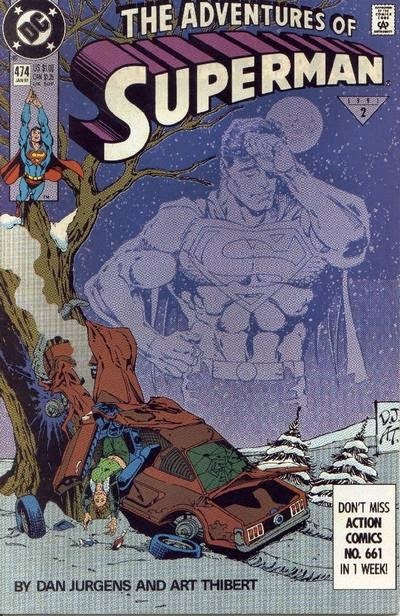 While a lot of Superman fans would want to give him a lump of coal for his birthday if he was still alive, he is an important figure in Superman's history. Among the many excellent resources about comic book history is MEN OF TOMORROW: GEEKS, GANGSTERS AND THE BIRTH OF THE COMIC BOOK, by Gerard Jones. http://halfmoosemedia.com in association with Marc Hammond. http://www.graveyardfairies.com in association with Marc Hammond.